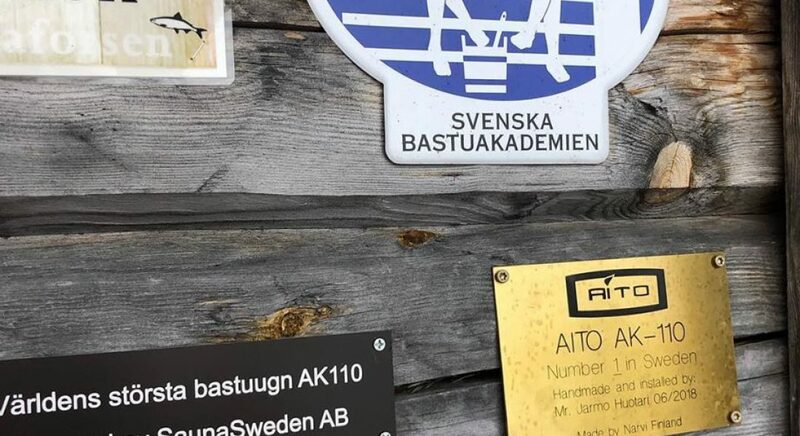 At Kukkolaforsen you can enjoy several different types of saunas in its natural environment. In the relax area there are a cozy fireplace and comfortable armchairs for you to sit and relax in between and after you have experienced the sauna. 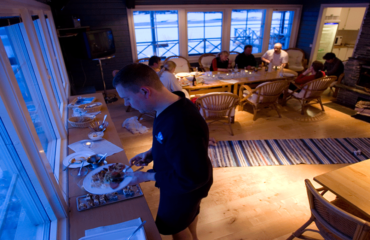 The VIP sauna is a dry pine sauna with an 18 kWh electric heated oven. The room is an octagonal sauna with Russian dry pine walls. 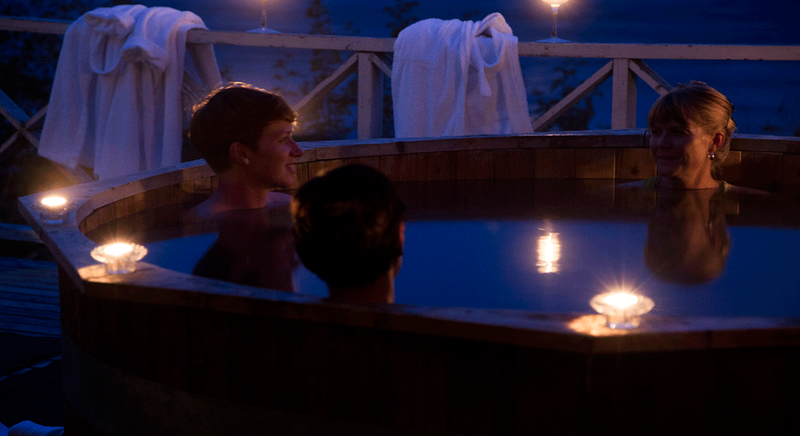 In the terrace, there are two wooden heated stainless steel hot-tubs. 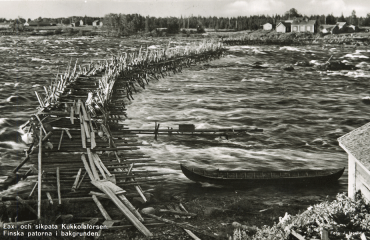 From the footpath leading down to the river, you can take a dip in the fresh water of the Kukkola rapids. 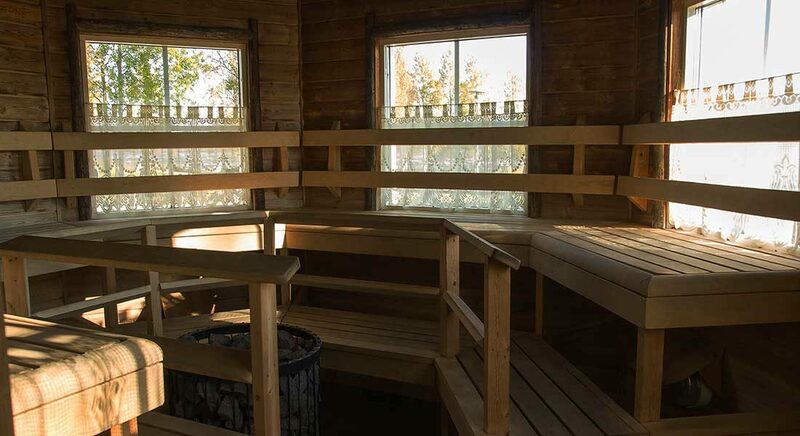 In this hand-carved timber sauna, there is enough room for about 60 people to experience the soft sauna steam at the same time. It is a wood-fired oven and it is the largest oven in Sweden and has over 2300 kg of stone to aggregate the heat of the fire. The experience of the steam is special as the volume in the sauna room causes the air to be filled with oxygen mixed with sauna steam. 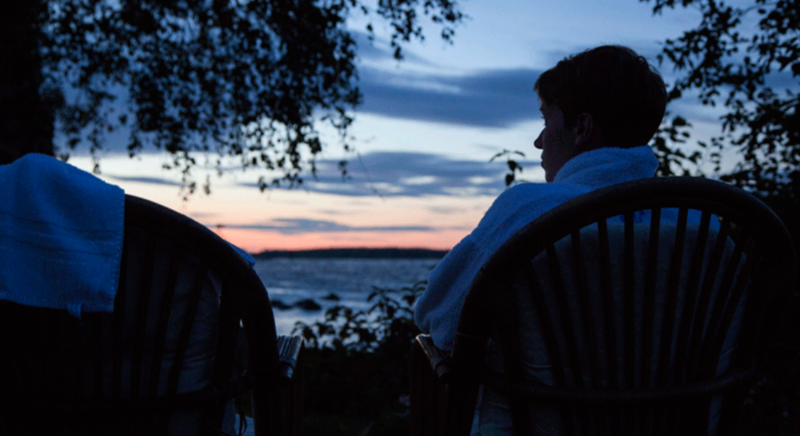 Outside, on the terrace, is a cozy wood heated Hot Tub and everything is overlooking the Kukkola rapids. A wooden-fired bathtub where you can experience the total relaxation under the open sky and with the sound of rapids in the background. Our baths can accommodate 10-12 people and are heated to about 40° C. We use fresh clean water for every bath. We have several baths and they are made of both wood and stainless steel. 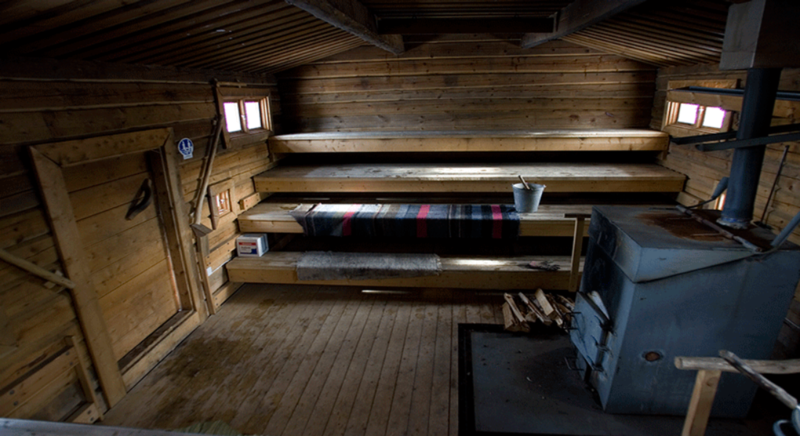 This is the origin of the sauna but unlike today’s, modern saunas, the smoke sauna has no chimney on the inside. Instead, there is an extra-large amount of stones in the oven that accumulate the heat from the fire. Since there is no chimney, the smoke therefore fills the room when heated, leaving a scent of smoke and small particles in the air of the room. All the smoke is vented out before the sauna bath and the fire is put out but the energy is still stored in the stones. The steam in a smoke sauna becomes rounder and softer than in a regular wooden heated sauna. The smoke sauna is often called the sauna’s Rolls-Royce. 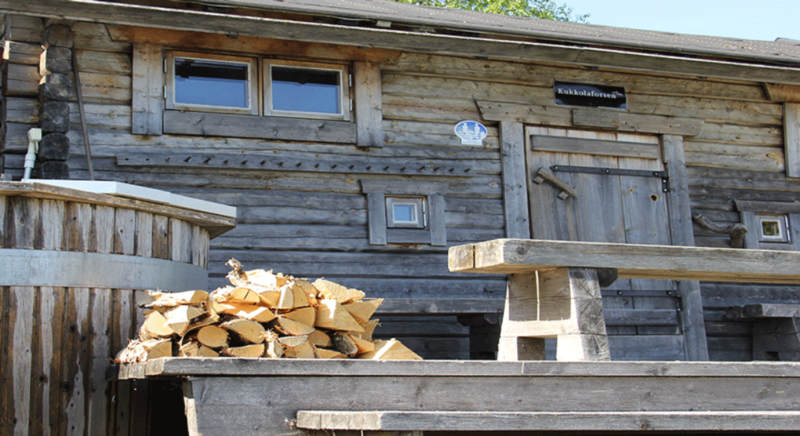 In our big smoke sauna, we have 800 kg of stone and we fire it up with aspen wood. All our facilities have a relax room in conjunction with the sauna bath. 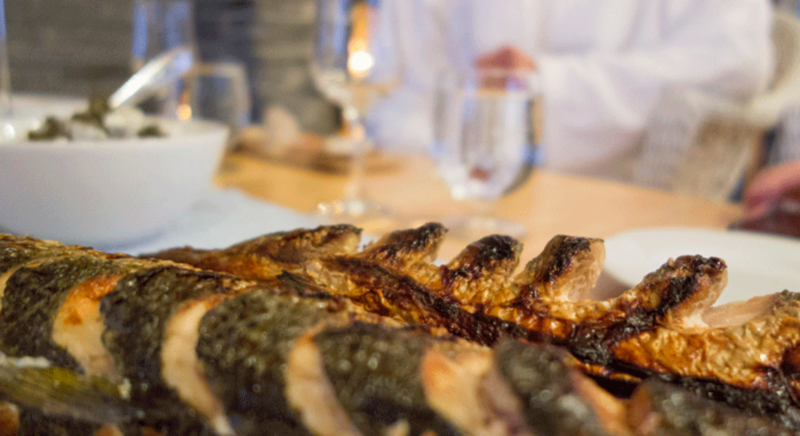 In between the baths, you relax with cold drinks and salty snacks and you can also enjoy our special sauna buffets. 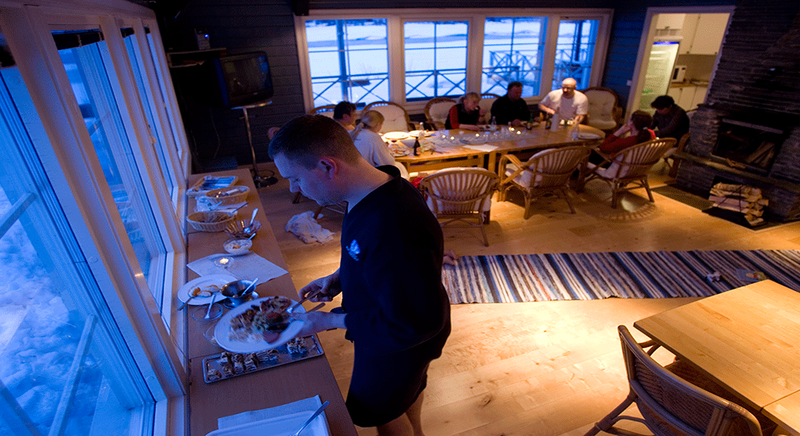 The sauna is suitable for 1 – 200 persons, for conferences as well as private groups. 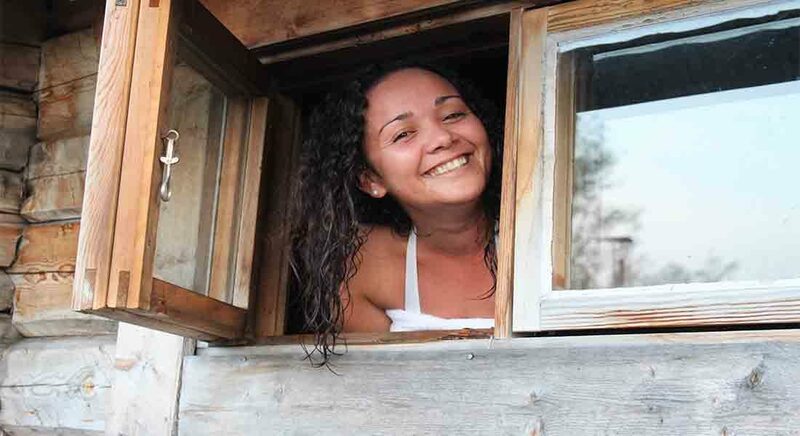 Do you want to book a sauna experience? Contact us!